Cinc Sentits, one of Barcelona’s best fine-dining restaurants, relocates and reaches new heights. This isn’t a restaurant review. Not really. If you want to read me waxing lyrical in long-form detail about how and why I love Cinc Sentits, you should click here. This is just a reminder. I won’t tell you again that Cinc Sentits (‘Five Senses’ in Catalan) is one of the very best in Barcelona; that it is the result of a driven, self-taught chef; that it is fiercely local in an increasingly rootless restaurant scene; that it turns humble ingredients into hallowed haute cuisine. I will tell you that it has moved to new premises. One of the few negatives of the original Cinc Sentits was the restriction of its long, narrow architecture and cramped kitchen. After a long search, chef Jordi Artal and his team have found somewhere they can fully express their creativity. Walk in and you’ll enter an atmospheric antechamber, a cross between a Gucci store, a forest picnic area and a Doctor Who set. Black-clad staff will serve you home-made vermouth and snacks. You will then be wafted to your waiting table in one of Cinc Sentit’s three rooms. Chances are you will be in the main dining room, dominated by a magnificent copper-tiled lightwell. Attention to detail is absolute: you’ll love the hidden wall compartments where you can stash your bag and charge your phone. If you’re in a larger group, you might find yourself in the private room, where 10-20 lucky people can gather around a long wooden table and admire the tasteful design. Or you may be exceptionally fortunate and sit down at the chef’s table, a darkened theatre of gastronomy with a front-row view of the kitchen at work. Then you’ll eat. Cinc Sentits doesn’t serve à la carte, only tasting menus. This isn’t to everyone’s, err, taste but don’t let it put you off. This isn’t a harum-scarum pinball bounce around the chef’s latest ideas or newest kitchen toys; it’s a carefully choreographed sequence that waltzes you through the best of the season’s ingredients. The main menu is €119 (11 dishes) and the shorter menu (8 dishes) is €99. Wine pairings are €69 and €59 respectively, and worth every cent. Little cards are left on the table so those so inclined can gorge on trivia about the ingredients and inspirations for each dish. Mainly, however you’ll be gorging on things including home-made truffle butter or Delta del Ebro oysters, kissed by the smoke of the wood-fired grill, codium seaweed and a velvety beurre meunière. Or local wild herbs and fermented carrot ribbons in a parsnip and celeriac soup. You’ll linger over slow-cooked trout with an emulsion of spicy Padrón peppers, onion and tomato confit, and crispy fennel. You’ll dive into the richness of exceptional pork belly, with apple rice, rosemary, pistachio and mustard seeds. Classic flavours, meticulously combined. Umami-rich duxelles and a filigree of hen-of-the woods mushrooms – wild from Montseny natural park – with egg yolk and buttery crumbs, spiked with the sharpness of red pickled onions. You will feast on fillet steak, smoked bone marrow, black truffle and foie, all predictably superb, as well as astonishingly carroty nixtamalized carrots. And so you will come to the desserts. Spanish history sweeps through a red wine granita butted against a Moorish zellige of orange-blossom cream, rosewater gel and mandarin-and-saffron sorbet. You’ll laud lactose in its infinite variety with yogurt and white chocolate rocks, a transparent yogurt wafer, vanilla-infused dulce de leche, cinnamon cream and slippery-smooth smoked-milk ice-cream. And, full but happy, you’ll sip their signature maple-syrup-based shot with whipped egg yolk and cava, then dreamily spoon up choc sorbet, rum-soaked raisins and sugar-infused apple. I’ve missed a few dishes out here. Let’s say it’s to preserve some mystery instead of casting aspersions on my shoddy and occasionally unpublishable photography. There are few fine dining restaurants that champion local, artisanal producers to the same extent; there is even a complimentary gift booklet that features the farmers, fishermen and winemakers behind what you’ve just enjoyed. It offers food that puts pleasure ahead of performance but it is by no means rustic or unrefined. This appeal to the senses – instead of just the cerebral cortex – makes it a restaurant where anyone can sit down and simply enjoy eating. Well, ditto. The “new” Cinc Sentits should be a shoo-in for a second Michelin star. Given the vagaries of the red book that is by no means certain. But I trust my own senses. Cinc Sentits is definitely worth a detour. 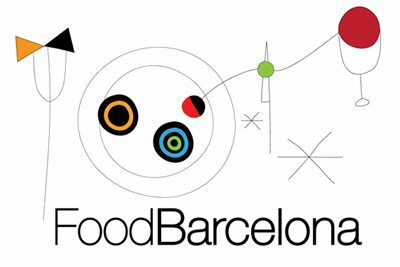 Find Cinc Sentits on the FoodBarcelona restaurant map. Your praise had me sold, before I’d seen the food …and then you mentioned home-made vermut!